Many people are interested in pursuing careers in technical fields as a result of the competitive pay and opportunity for professional growth. In many cases, these individuals are interested in pursuing positions within the plumbing sector. If you find yourself drawn to this vocational opportunity, you can benefit from reading the brief overview about this career that appears below. 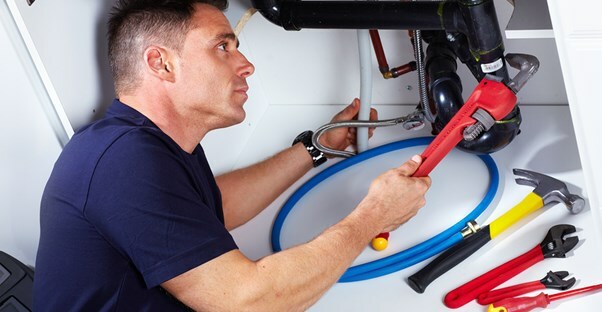 Although the term "plumber" can be broadly defined, it is generally used to reference an individual who installs and repairs pipes that carry gases or liquids into factories, homes, and businesses. Plumbers work in businesses, homes, factories, and other places for the purpose of operating on septic systems or pipes. Plumbers have a higher rating of illnesses and injuries than the national average. In many cases, plumbers have schedules which include being on call for emergencies, making it common for them to do work on the weekends and evenings. The U.S. Bureau of Labor Statistics reports that the annual median income for a plumber is $49,140. However, it is important to note that this income can vary based on a plethora of factors such as level of education, areas of expertise, and years of experience in the industry. Between the years of 2012 and 2022, employment for plumbers is expected to grow at a rate of 21%, which is faster than the national average for all vocations. The rising demand for plumbers is attributed to the need for new septic systems and construction of buildings. Because some employers report that they find it difficult to locate qualified employees, job opportunities are projected to be relatively good.